After skin cancer, breast cancer is the most common cancer among the woman of United States. It affects as many as 1 in 8 women throughout life. Researchers have found evidence that CBD could reduce the progression of invasive breast cancer. October is known for being the breast cancer awareness month, and from the continued educational content that has been gathered, evidence suggests that CBD could play an instrumental role in treating breast cancer. Conventional ways of treating breast cancer can often be found to be limited by toxicity or acquired resistance, novel agents are needed most of the time. Some research that has been done in 2012 in Madrid have found that CBD and its derivatives apply anti-invasive, anti-migratory and anti-proliferative actions, meaning reduction of tumor sizes resulting in cancerous cells to kill themselves. The spread of tumors stops without damaging any of the healthy cells in the body. The most aggressive kind of breast cancer is known as ‘triple negative’ and the cells in this cancer are known to have high amounts of ID-1, which can be responsible for the progression of tumor growth and development of tumors. The acidic precursor of CBD, (CBDA) is capable of down-regulating invasive breast cancer cells which means the growth will reduce. Many people when they first get breast cancer and don’t know about CBD would usually go with conventional ways to treat the condition. Depending on the location and how far the cancer has advanced. The primary types of cancer treatment would be: surgery, radiation therapy, chemotherapy, immunotherapy, hormone therapy and targeted therapy. All these treatment methods have side effects, but luckily CBD can help with the damaged caused by most. There are many side effects with chemotherapy use and one of them is anticipatory nausea which CBD can help treat. THC was found to be very effective in reducing conditional rejection and chemotherapy-induced nausea. Neuropathic pain can be experienced by patients after undertaking traditional treatment which some can cannot manage, and marijuana can significantly lower the pain. In some studies where cancer patients tried to treat their intractable pain with opioids and were unsuccessful, noticed great results in pain reduction after using the combination of THC and CBD for just a short period of 2 weeks. Research shows that combining cannabinoid-based treatment with conventional cancer treatment would be more beneficial to patients as both treatments synergies very well and show more powerful results when combined rather the use of a single treatment alone. Many of them believe that more trials and research need to be done to find out which patient population is most appropriate for the cannabinoid treatment and after that they plan to find out which cannabinoid specifically would be best for therapeutic options before they can be used in the clinical stage. 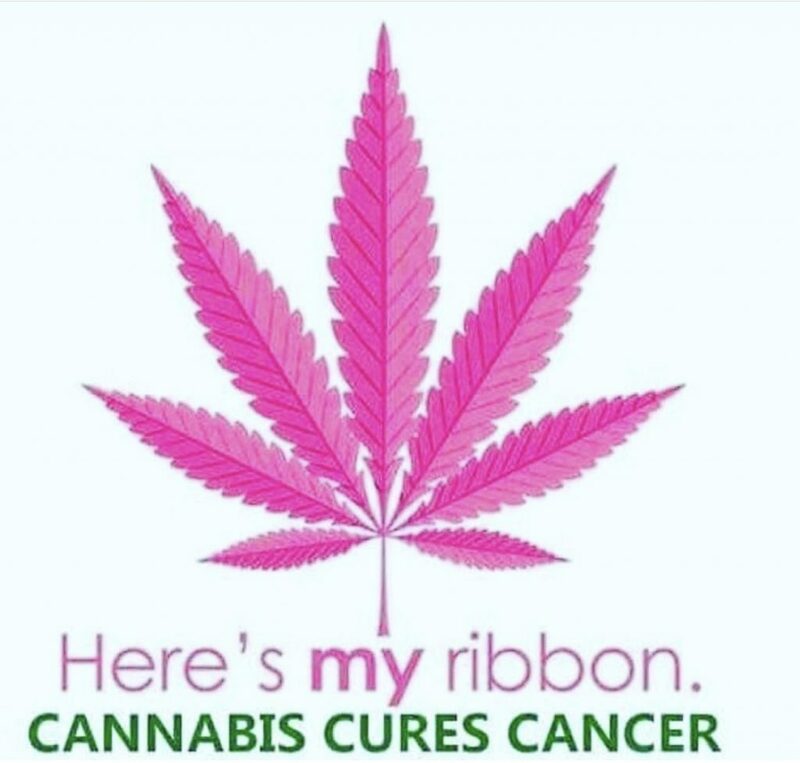 Until these trials are done, it is very unlikely that cannabinoid-based medical treatment for breast cancer will be prescribed while the evidence with the healing properties of these compounds stands strong. Cannabidiol CBD has been found to switch of the gene that is responsible for the metastasis in ‘triple negative’ which is known as the most aggressive kind of breast cancer, doing all this with no side effects like no other plant or pharmaceutical drug. A study that has been done in Israel has provided evidence that CBD can prevent the development of breast tumors by getting rid of unhealthy cells and supporting the body’s processes in breaking down. When exposing the infected cancer cells to the CBD oil, researchers were happy to find that the cells returned to their healthy, natural state. They were delighted to find that another cannabinoid from the marijuana plant (CBDA) stops the migration of breast cancer cells. Many people that use CBD to treat these diseases are usually more accepting of this method once they are fully educated on the it. It has little to no negative effects. They are informed that it’s all natural, doesn’t damage anything in your body like many other things do that are used for different kinds of treatments, and its impossible to overdose. So many other methods that are used today to treat tumors such as: pharmaceutical drugs and chemotherapy can be overdosed on if the patient is not responsible. CBD downgrades ID-1 and inhibits breast cancer growth. The oil can also be a great treatment for the symptoms of the cancer which may include pains and aches. With its anti-tumor properties and pain relief, it makes the whole process for many women less painful and more bearable. In conclusion if God forbid, one gets breast cancer, the smartest thing to do would be investigate CBD oil and other products as it would be the least painful, least harmful, very effective and very easy method of treating this horrible disease. Comparing to conventional methods of treatment, this miracle oil does more good to the body while doing nothing negative and feeling most patients feeling better. If no positive effects are noticed, try using different dosages or different ways of consuming CBD oil. 1000 mg HEMP OIL – This boosted, extra strength blend is over 3x more potent than our daily use hemp oil (300mg) gives you a stronger natural way to relieve chronic pain, inflammation, health sleep patterns, and more using the benefits of the hemp plant. PREMIUM HEMP OIL EXTRACT – One serving (30 drops) of the dropper delivers a 33.3mg serving! Our full phytonutrient blend gives a complete entourage effect that includes natural terpenes, flavonoids, antioxidants, and phytonutrients. Packed with essential omega fatty acids and calming essential peppermint oil. UltraCell™ contains a myriad of naturally occurring phytocannabinoids, terpenes, flavonoids, and fatty acids. UltraCell™ is processed with our proprietary technology to maximize bioavailability. Each single bottle carries 70 BV. Berry Flavor. 1 oz. Serving size 1ml. 30 servings per bottle.